How To Buy The Correct Data Card For Your Device - How Do I Do X? Flash storage units can be bought in in many different forms. Different size cards are designed for all the different electronic devices available. Millions of Flash data storage devices are manufactured throughout the world each year, with many of these sticks and cards not being ideal for their intended usage. Using a few moments to ascertain your storage requirements before you make an unwise purchase will let you to make an a more informed choice and as a result you will end up with a far superior device for your immediate needs. There are several standard formats that are used by the vast majority of large manufacturers. The most frequently used are SD in standard, Micro and Mini, USB Flash drives, and Compact Flash card drives. The two main details when choosing data storage, are the data storage capacity of the card and the transfer speed. Memory storage technology is fast moving leading to ever greater storage capacity & faster transfer rates. 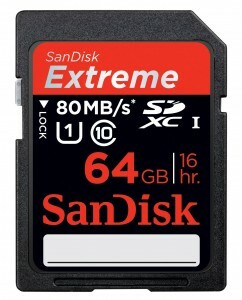 The bigger and faster the memory card, the more expensive it tends to be. Following on from the recent surge in the use of tablets for HD videos and gaming, portable data storage of enormous amounts of data has become even more useful. At present, at the end of 2013, memory sticks and cards are readily available up to 256GB and storage is expected to pass 2 tb by 2020. Mobile memory storage is increasingly stable, giving the user much more confidence and security than used to be accepted. Most cards are hot swappable which means that they can be removed from computers and devices without you being required to to first eject them. Flash storage drives are also designed to be compatible with both Macs and PCs, so it’s easy to transfer your data onto your Mac or PC for use later. Top end SLR cameras usually allow for at least two different memory card options to be used and will take CompactFlash cards (usually the preferred option for professional photographers) & SDXC memory also. For commercial photographers, often they only have one chance to preserve a moment, so they need to know that the pictures they take are going to be stored securely. CF memory cards are some of the most dependable data cards making them also the most trusted. The majority of wedding and marriage photographers elect to use several smaller capacity cards during important shoots like these in preference to saving all their photos on just one card. This practice offers added piece of mind because if disaster struck and, if a data failure happens, they just lose a single segment of their saved work, rather than losing it all. Despite the reliability and consistence of modern storage devices, it is still sensible to protect your valuable data by saving it like this as it can save a lot of tears later. Because of their small size, memory cards and sticks are an incredibly handy way of carrying massive amounts of data for either portability or security. These small cards and sticks can be carried in a purse, wallet or pocket, or discreetly concealed to safeguard your important documents. Flash memory comes in two basic forms, USB and an array of memory cards with differing dimensions which require the right memory card slot or a multi-card reader unit which is connected to a Mac or PC via a USB. The devices you own or intend to purchase will dictate which cards you will require. If you are only intending to store documents from your Mac or PC then a USB stick should be your ideal device. With the cost of memory drives decreasing, this is the ideal moment to upgrade with newer, faster and larger capacity flash memory to preserve your important information. This entry was posted in Technology on April 30, 2014 by admin.